There’s an empty seat at the Paris Fashion Week couture collections. Dodie Rosekrans, art patron, collector, philanthropist, fashion icon, and international society figure who died in November will be sorely missed for her never-to-be imitated or equaled style. To be invited to her Tony Duquette homes in Paris and Venice was to be assured of mingling with an eclectic mix of artists, designers, Bohemians, and dignitaries – as long as they were interesting, they were friends of Dodie’s. To know her was to be astonished, as echoed by John Galliano who remarked, “I was simply bowled over by her sense of style” or fashion illustrator, Glady Perin Palmer, who described Dodie as “By far the most imaginative, original dresser I’ve ever met.” Let me add a few personal remembrances of my own. Dodie’s jewelry could look like found objects and she turned found objects into jewelry. At a soirée in Paris, Dodie arrived with her throat encased in chunks of green stones that looked like sea glass, but were, in truth, unpolished emeralds. Dodie would have enjoyed them equally and worn with the same flair had been glass. Another time at her home, she draped, and artistically knotted, a length of silk of the most delicate rose color over the front of a tweed suit. The contrast of the sweet with the tart was captivating and when I asked where she’d found it, she said it had been ribbon that wrapped a gift she’d been given. Artists give us the gift of seeing through their eyes – a fresh vision of the world. That’s what Dodie did with fashion – she turned it into poetry. What is the Magic of Chez Chanel? Visiting the private apartments of Coco Chanel above her boutique at 31 rue Cambon is to enter a rarefied atmosphere of perfection. My friend Carol invited me to join her on a rare tour and for the next hour we were bewitched. 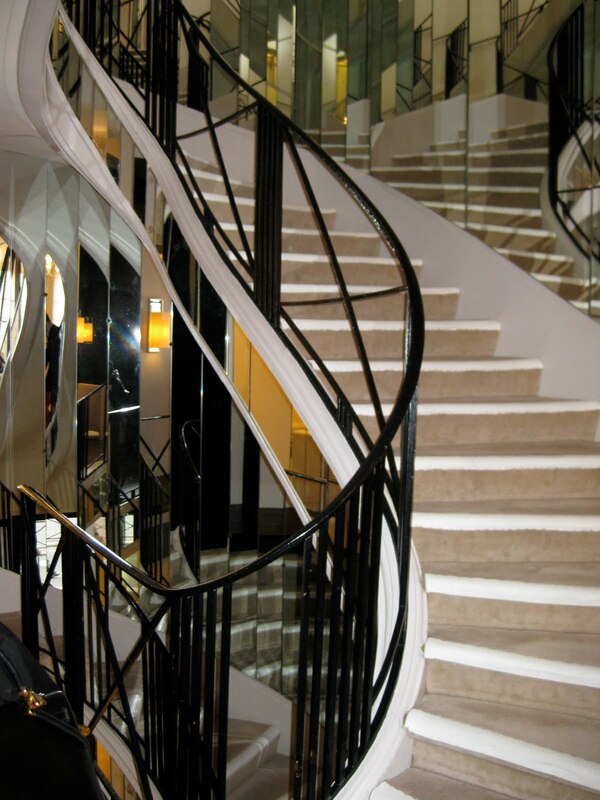 The spell begins as you climb the famous mirrored spiral staircase, carpeted, as Mademoiselle directed, in “a color like sand.” When attendants at the Ritz across the street, where she slept and kept a suite, alerted her staff that Mademoiselle would soon be arriving, they carried out her wish and sprayed this stairway with Chanel #5, her signature fragrance. 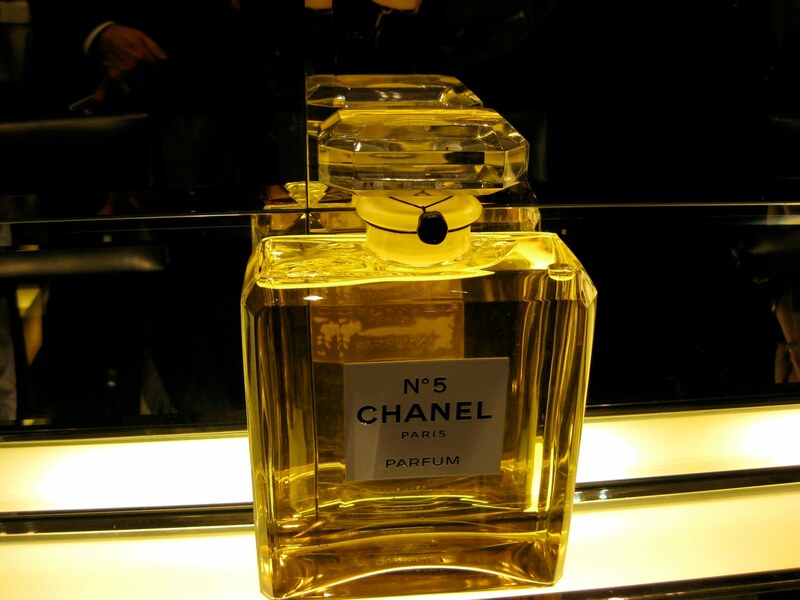 Leaving the Chanel store behind at street level, we entered her apartment on the third floor and the magic of Chez Chanel is immediately apparent – everywhere luxury is made remarkably simple. 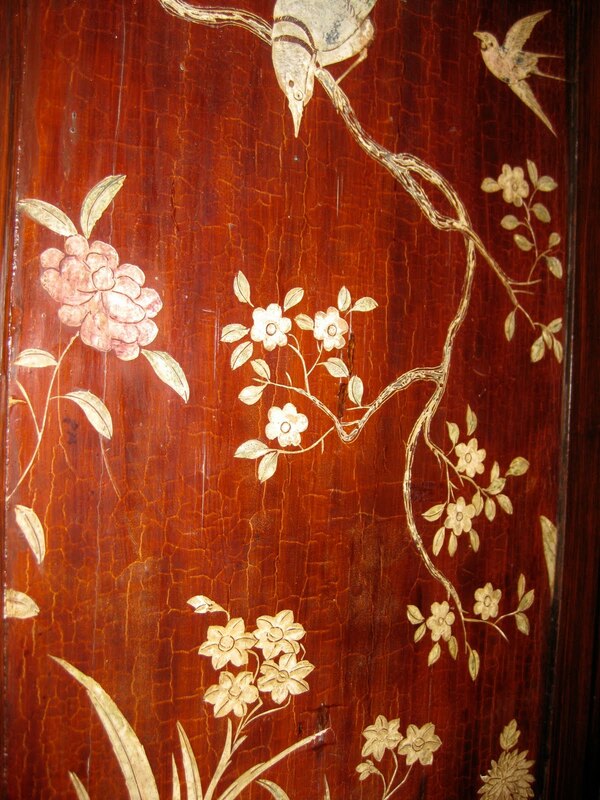 In the sitting room, ancient wine-colored Chinese coromandal screens, featuring her Camellia flowers, are cut and fitted as wall coverings, placed next to barely visible simple copper-gold paper. 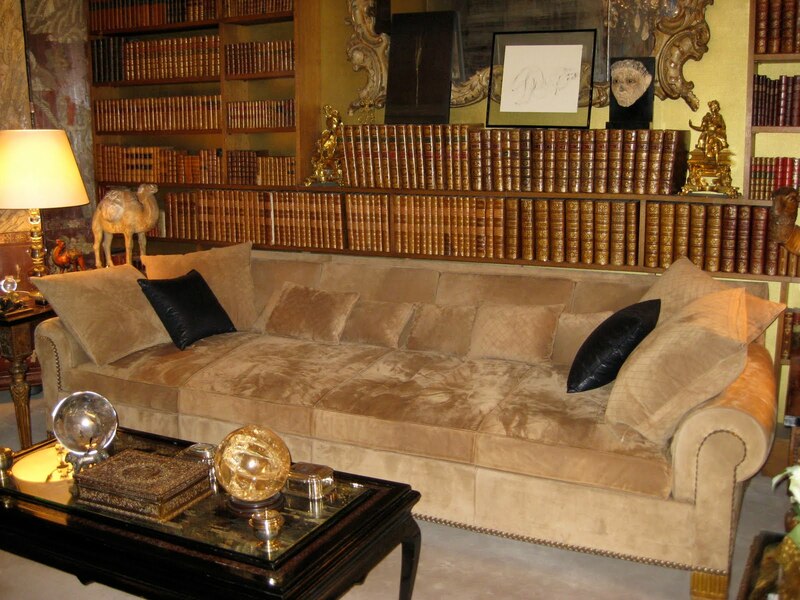 An oversized sofa covered in suede, unheard of in its day, is as inviting now as it must have been to Mademoiselle and it’s easy to imagine her stretched out and reading, or possibly napping, after a tiring day. 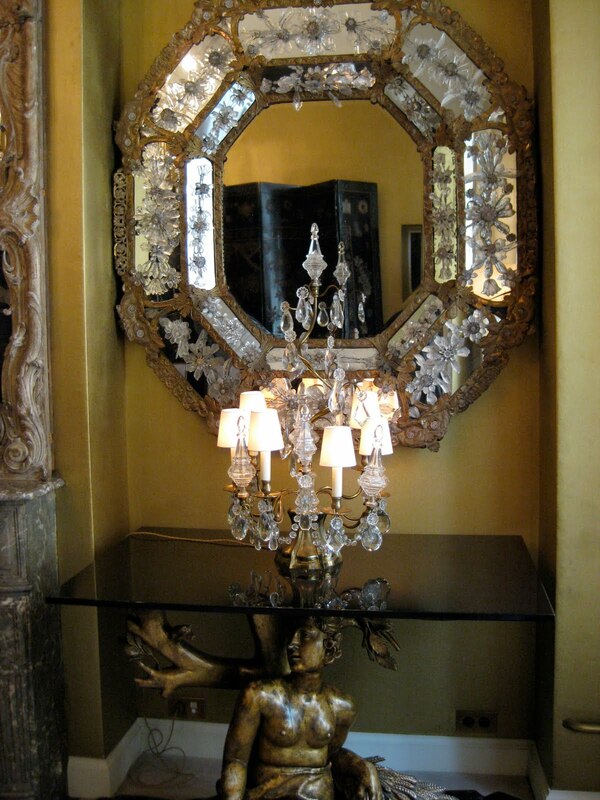 Rare objects are everywhere, beautiful mirrors, and crystal globes reflect soft light. 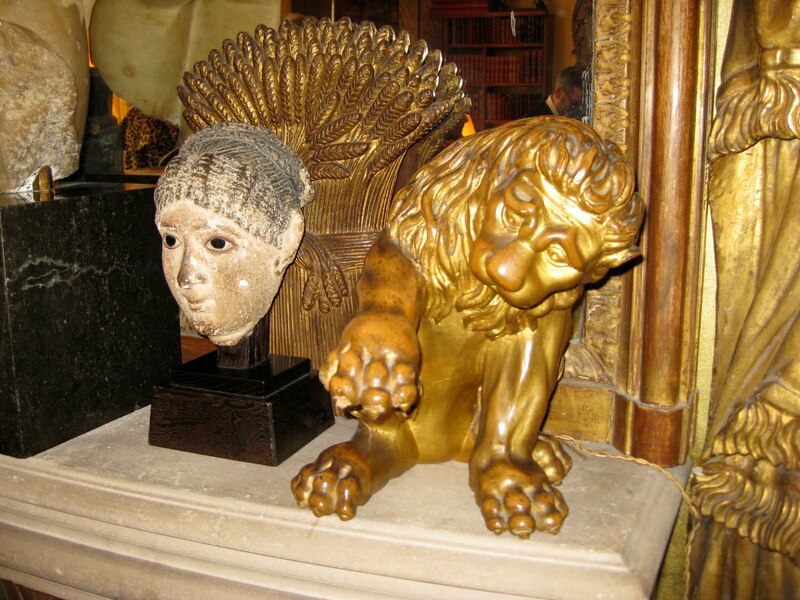 Lions, a reminder that she was a Leo, stand along side gilded wood, and statues of various eras and origins. Bronze shafts of wheat (and when she was in residence bouquets of fresh wheat) stand as personal symbols of her later prosperity and a childhood when bread was scarce. Two walls are flanked with simple wooden bookshelves, almost roughly painted, holding a magnificent collection of leather bound volumes. 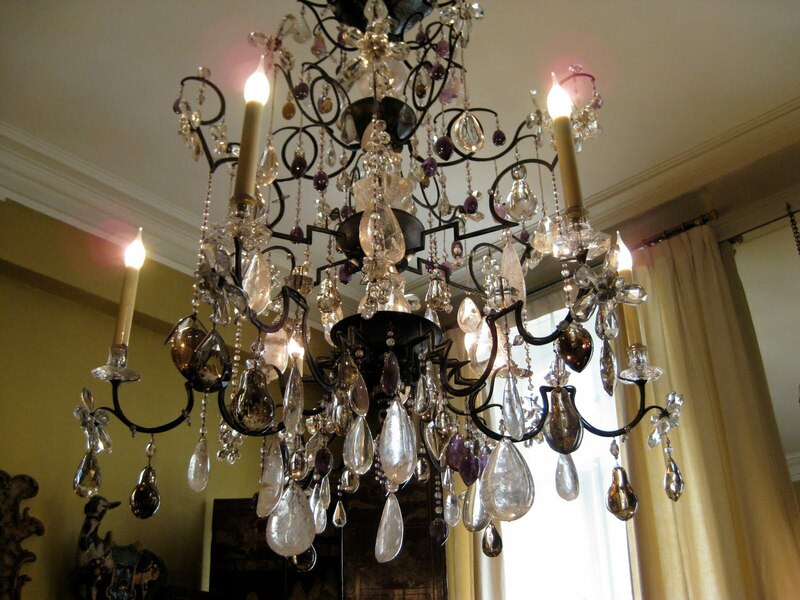 Overhead is a chandelier of crystal, amethyst, and topaz featuring interlocking 5’s and double C’s. The dining room holds a wooden table surrounded by 6 chairs upholstered in a soft muted no-color color. The table can be extended to hold 8 but Chanel preferred to keep her diners small. And as she always preferred pairs of objects, side tables have as their base bronze figures depicting seasons. Above the tables are magnificent mirrors that surely reflected intimate gatherings of the most interesting people of the day. 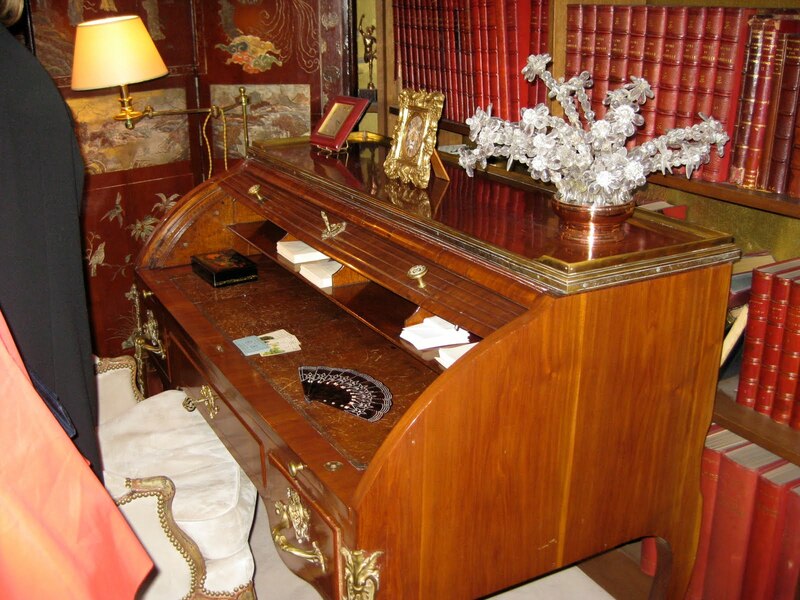 Chanel lived her until her death in 1971 and everything is exactly as she left it; the desk still holds her eyeglasses, fan, and personal notepaper. On the floor below Chanel’s apartment are haute couture dressing rooms and some of the most prized exemplars of collections past. Looking at them makes it hard to agree with Mademoiselle’s own assessment that dress design is a craft and not an art. Back down at street level in the boutique there is a display of Chanel fragrances sold only here in Paris. Carol and I sprayed delicate whiffs on the provided testing papers and after concentrated comparisons decided that the richly mellow “Coromandel” was our favorite. I slipped the paper into my purse and the next morning upon opening my bag the captivating scent, like Proust’s madeleine, whisked me immediately back to those deliciously magical rooms. Knowing the fragrance someone chooses makes us feel we know them in a more intimate way than just their biographical information. Below are scents favored by some of France’s most famous women and it should come as no surprise that French fragrances predominate. Artists, entertainers, writers, business women, designers, royalty, and courtesans, all are represented in the list below. Some are French by birth, others adopted France as their home. 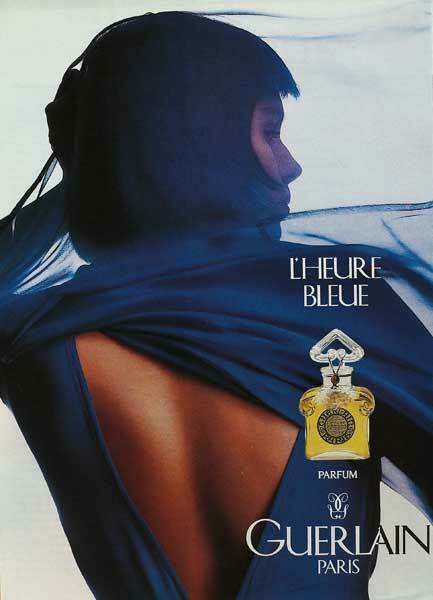 All are endlessly intriguing and lend their own special “je ne sais quoi” to whatever scent they wear. In addition to various publications, sites, special thanks for the information above go to http://perfumeshrine.blogspot.com/, a fabulous resource for anyone interested in all things related to fragrance. How better to say "Je t’adore" on Valentines than with Parisian lingerie? The old warning about “wear nice underwear in case you have to go to the hospital” is something Parisian women never have to worry about; they see having beautiful – and matching — lingerie as one of life’s necessities. It’s a private pleasure and one we all deserve. And what better time that Valentine’s Day to update your lingerie wardrobe – or, better yet, have someone special do it for you. Here are some top picks from our insiders’ little black books. Since 1889, the bra was invented here by Herminie Cadolle, this legendary custom and ready to wear boutique has never been without its loyal devotees. Saucy and seductive Chantal Thomass makes naughty very nice — always in luxurious fabrics. The sweetest of sweet-nothings that turn every woman into a coquette. Supernova of lingerie with clients such as Madonna, Claudia Schiffer, Naomi Campbell and Catherine Deneuve. We are a mother and daughter team who bring different backgrounds to our passionate pursuit of savvy shopping. (Tomi is a philosopher whose publications vary from ethics to aesthetics and interior design; and Kim is a stylist who has worked with some of the biggest names in fashion). Once the word spread that we are part-time Parisians, everyone wants to know the really special places to shop. We do too! Enlisting the help of local and international experts in a wide array of areas who graciously share their personal favorites – the ones they keep for themselves and special friends – we are bringing them to you on I Know A Little Place, our iphone app as well as our own on-going Parisian shopping adventures.